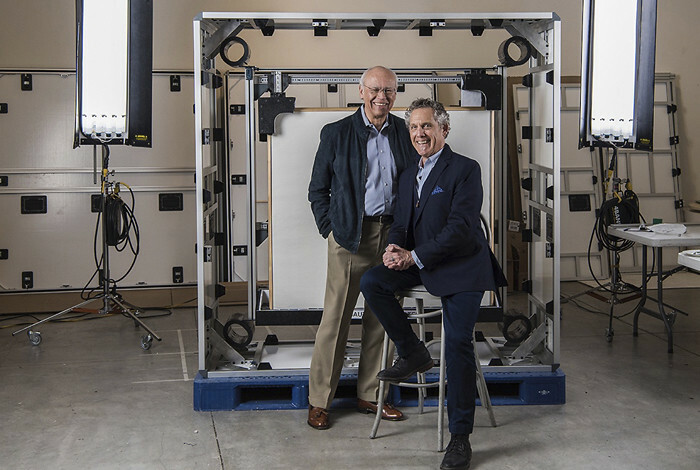 The Laboratory’s NMSBA program helped optimize a new crate for shipping valuable artwork developed by Georgia O’Keeffe Museum Innovations, a for-profit business subsidiary of the world-renowned museum. LOS ALAMOS, N.M., Jan. 15, 2019—Los Alamos National Laboratory’s average annual total impact on economic output across New Mexico from 2015 to 2017 was $3.1 billion, according to preliminary independent research from the University of New Mexico’s Bureau of Business and Economic Research. More than 55 percent of the $756 million the Laboratory spent on goods and services in the 2018 fiscal year went to New Mexico businesses, up from 45 percent in 2017. In the coming year, Los Alamos plans to further strengthen its economic impact on the region by stimulating new business growth, strengthening existing companies, creating jobs and supporting a diverse economy in northern New Mexico’s communities. To further boost procurement to regional businesses, the Laboratory is doubling from 5 percent to 10 percent the local price preference given to contract bids from businesses based in the seven counties surrounding the Lab -- with an additional preference for qualifying pueblo businesses. In addition, the Laboratory is establishing a new Office of Partnerships and Pipeline to stimulate new industry partnerships and high tech start-ups and to engage the workforce of the future. Of the more than $756 million in goods and services procured by the Laboratory in the 2018 fiscal year, 55 percent (more than $420 million) went to New Mexico businesses. That is a marked increase over 2017, when the Lab awarded 45 percent of goods and services to state businesses. The contracts awarded to New Mexico small businesses in FY2018 totaled $269 million—up from $262 million in 2017. Los Alamos worked on 534 economic development projects with New Mexico small businesses in 2017 (the latest figures available). In addition to grants to help small businesses grow, these projects included the New Mexico Small Business Assistance (NMSBA) program which uses national laboratory expertise and resources to help solve business challenges. The Laboratory’s economic development projects created or retained 1,494 jobs at New Mexico companies in 2017, with salaries totaling more than $52.6 million. The Laboratory employed 11,743 people in 2018—up 660 from 2017. Forty-five percent of the workforce lives in Los Alamos County, 21 percent in Santa Fe County and 16 percent in Rio Arriba County. For more information and figures, see the Economic Impact on New Mexico page on the Laboratory’s website.